With everyone banging on about how great iPhones are, spare a thought for those of us who can’t see their fiddly little screens. 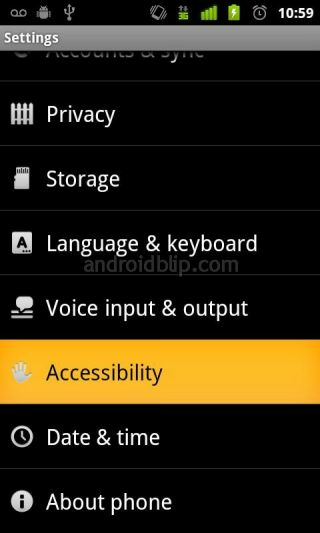 Here are my top five free apps for visually impaired Android users. There are dozens of free satnav apps out there, but few of them are of use to a visually impaired user who doesn’t drive, but needs help with navigation. What makes Walky Talky stand out from the pack is that it is made for walking and using public transport. It constantly updates you on your location – even down to the house number you’re walking past, and vibrates if you're going the wrong way. This is your basic note-taking and memo app. It’s infuriating to try and take notes on a touchscreen phone, especially if you are visually impaired. But with the app’s compatibility with Google’s latest voice recognition software, it can transcribe your natural speech in real time. Great for budding novelists – and just think, even with the occasional lapses in accuracy, you’ll still write better than Stephanie Meyer. Beneath its clunky interface lie some great features for visually impaired and blind Android users, including KickBack, SoundBack and TalkBack. The installer allows the user to add audible, vibration and spoken elements to any Android device. 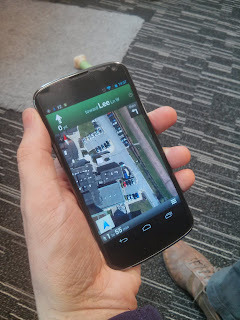 Using a smartphone to enlarge print is simple, yet ingenious, and Your Magnifying Glass is simply brilliant. Utilising your phone’s camera, you can zoom in and out over text, freeze the image, flip it, invert the colours, light up the page with the camera’s flash, and then save the image onto your Google Drive to view later. There is a large visually impaired community on Audioboo, and the Android app gives you access to all of the site's features through a user-friendly interface. It’s perfect for catching up with the audio version of the Guardian, packages from Radio 4’s Today, and podcasts from all manner of people – I recommend Sean Dilley and Documentally.